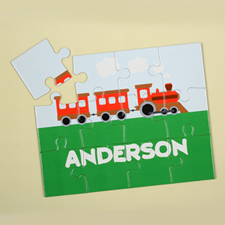 Give your kids or grandchildren a gift that’s educational, engaging and fun! 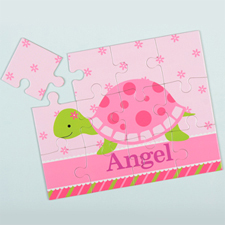 Finding a gift for a kid could be a daunting task. 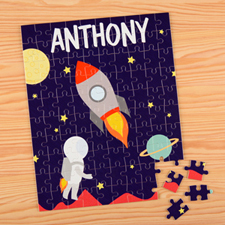 As adults, we always want to give the best to our children without ruining their minds with video games or toys which are non-practical. 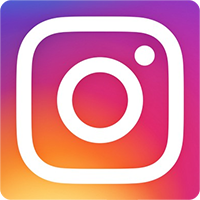 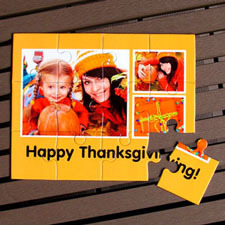 Here at PrinterStudio.com, we have a great gift idea for kids of all ages which is educational as well as engaging providing many hours of fun. 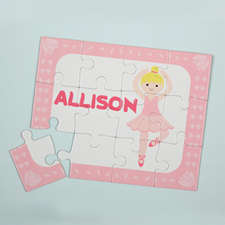 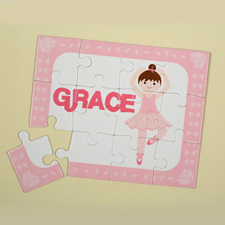 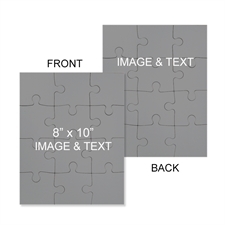 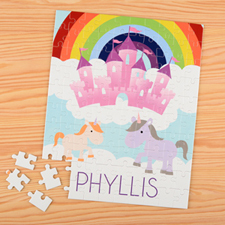 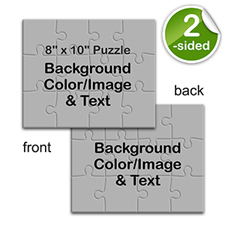 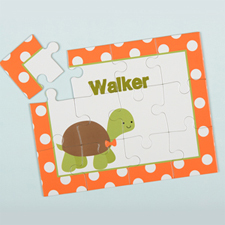 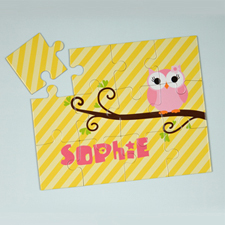 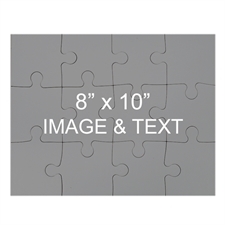 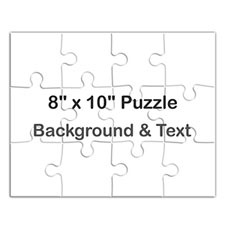 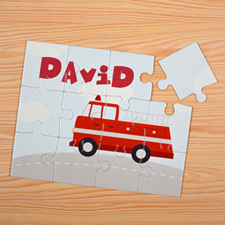 Our personalized kids jigsaw puzzles are specifically designed for children with small hands which comes in 8 x 10 inches and in 12 or 100 pieces all manufactured to the highest standards. 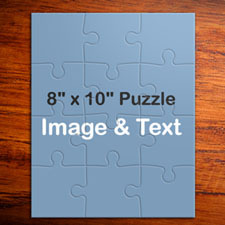 We also have larger puzzles for older kids measuring at 12 x 16.5 inches in 54 and 285 pieces. 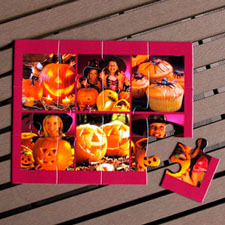 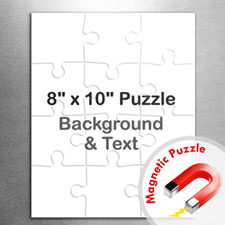 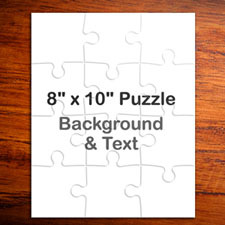 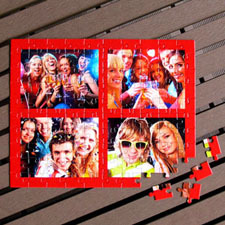 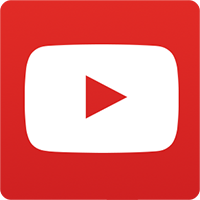 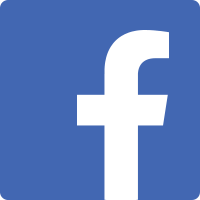 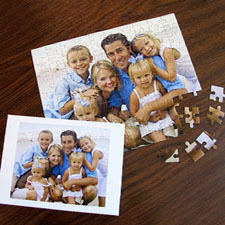 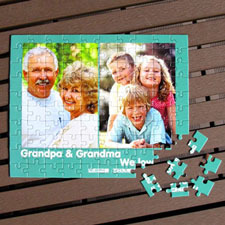 To make a jigsaw puzzle game for your kid or grandchildren through our easy to use online jigsaw maker, all you have to do is take a fun photo of your child on your digital camera, or if you have a picture or a photo you would like to use already on your computer, you could use that as well. 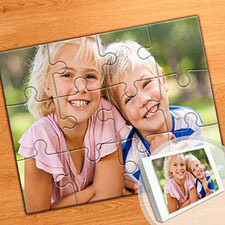 Similarly, you could get your child to draw or paint a picture and then scan it onto your computer. 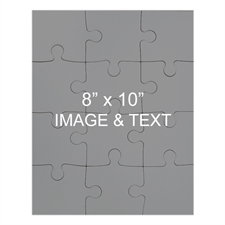 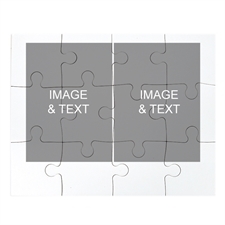 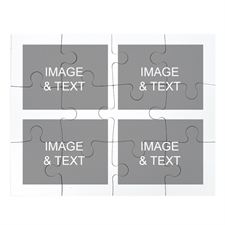 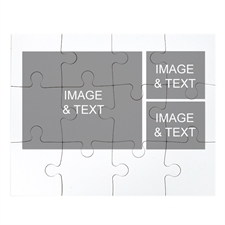 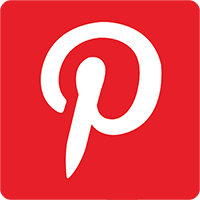 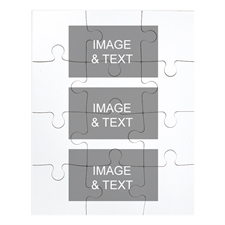 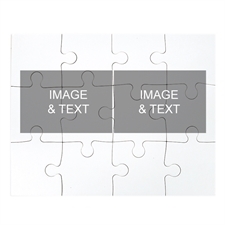 Once you have chosen a picture that you would like to use to turn into a jigsaw puzzle, upload it to our jigsaw maker, preview it and then order as many as you please at great low prices. 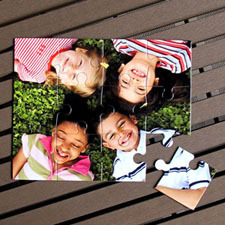 The nore you order the more cheaper it gets so why not make a jigsaw puzzle for all the kids this year as a special gift whether it's for a birthday party, Easter party, for Christmas or just a small treat to them for doing well at school. 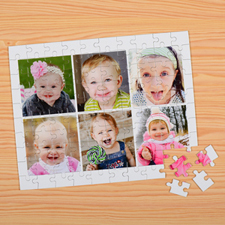 If you can't decide which of your kids photos to make a puzzle with, choose our collage puzzles designs allowing you to upload multiple images. 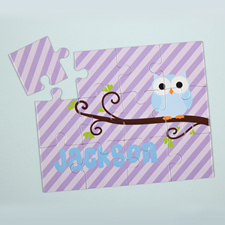 All Kids puzzles comes with a matching personalized gift box and available to be delivered worldwide. 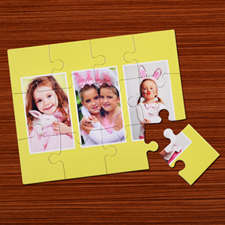 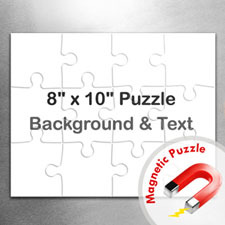 What's more, you could also opt for your kids jigsaw puzzle game to be converted to a magnetic jigsaw puzzle which can be stuck on to metal surfaces like your kitchen fridge. 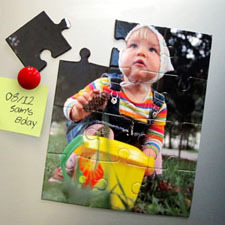 Great idea for holding up all those important message and of course, your kids photos. 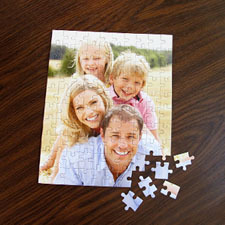 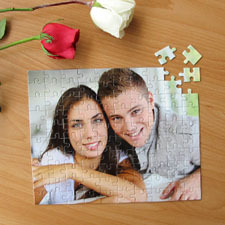 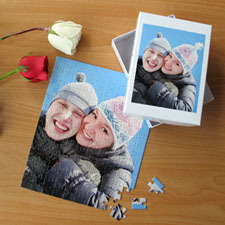 Alternatively, if you're looking for more grown up personalized jigsaw puzzles, we have them as well up to 285 pieces.